Processor Octacore, 4x ARM A57 cores @ up to 1.8Hz, 4x ARM A53 cores @ 1.5GHz. Android version shipped 5.1 "Lollipop"
Other 3-position notification (mute) switch, swappable rear covers. 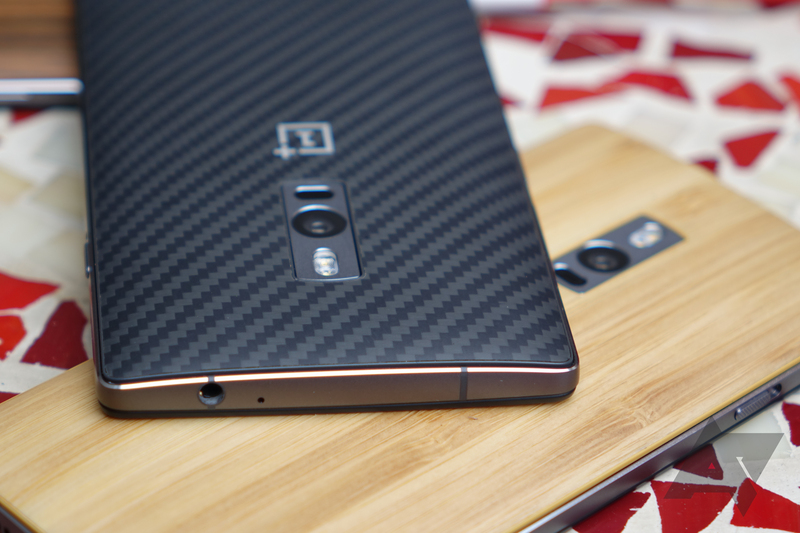 The OnePlus 2 is the successor to the critically-acclaimed (and sometimes not-acclaimed) OnePlus One. It was announced on July 27th, 2015, and will be released to the first batch of buyers on August 11th, 2015. The 64GB / 4GB version will be the only version shipping on that date, with the less expensive 16GB / 3GB RAM variant to follow later. The OnePlus 2 runs Android 5.1 with OnePlus' own OxygenOS UI layer, instead of the Cyanogen OS platform the OnePlus One shipped with. Notable features include a front-mounted fingerprint scanner, dual LTE-enabled nano SIM card slots, replaceable back covers (with options like wood and Kevlar), and a 3-position notification mute/silence switch. The OnePlus 2's relatively low price undercuts the MSRPs of other phones with Qualcomm's Snapdragon 810 chipset, and while mired in throttling and heat controversies, as of the 2's launch the 810 was still the most powerful mobile chipset Qualcomm sold. An enhanced rear camera, a fourth-generation 1080p LCD with increased brightness, and a USB Type-C connector port round out the major hardware improvements over the OnePlus One. The 2 is available only via invitation for an unspecified duration, as was the case with the OnePlus One.